Espoo [Finland], Nov.14 : Nokia has been selected by the Korea Rail Network Authority (KRNA) as a supplier for the world's first LTE-R mobile broadband network to support railway operations and employee services. The network will be deployed on a railway line between Wonju and Gangneung as part of preparations for the major international sporting event being hosted by the country in 2018. KRNA is responsible for the development and maintenance of railway infrastructure in South Korea as well as a number of other countries. The communications network for KRNA will be based on LTE-R technology, a version of 4G LTE technology that is being developed to meet the mission-critical service requirements of railway operators. Espoo (Finland), Oct. 17 : Nokia is extending its fiber solution for universal next generation passive optical networks (PON) to help operators more effectively scale, deploy and automate their fiber networks as the demand for data grows. Three anonymous sources with the New York Times have reported that Uber is offering nearly $3 billion to Nokia's mapping service HERE. The step followed the reports by the Wall Street Journal (WSJ) that three German automakers, BMW, Audi, and Daimler's Mercedes-Benz, have joined together to make a bid for the service with the Chinese search engine Baidu. Some people would be unfamiliar with Nokia's mapping service 'HERE', one source with the WSJ told that HERE is the most advanced digital mapping service in the world. It has been found that Nokia has invested several hundreds of millions of dollars into mapping software in order to keep it as up-to-date as possible from year to year. Just three weeks after agreeing, to be bought by Nokia, in a 15.6 billion Euro deal, the revenue and earnings of the network-equipment company, Alcatel-Lucent SA have considerably risen. Alcatel-Lucent, reported on Thursday that its adjusted operating profit more than doubled to 82 million Euros, compared with 33 million Euros a year ago. The sales rose by 9%to 3.24 billion Euros for the quarter, topping the analyst’s estimate of an average 3.01 billion Euros. The company improved its gross margin to 34.6% from 32.3% a year earlier. On Friday, top executives of communication company Nokia said that it would be too soon to talk about job losses after the takeover of French rival Alcatel-Lucent. As per reports, the massive buyout deal was about three times larger than Microsoft’s purchase of Nokia’s handset business about two years ago. On Friday morning, Rajeev Suri, chief executive officer of Nokia, said that Espoo, Uusimaa, headquartered Nokia’s acquisition of its French rival Alcatel-Lucent is about innovation and competitiveness. He said the takeover is not about costs. 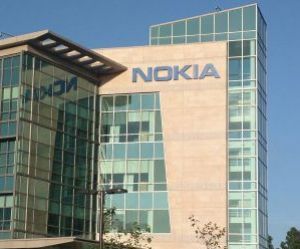 On Wednesday, Nokia confirmed that it's buying French rival Alcatel-Lucent for 15.6 billion euros ($16.6 billion) to create the world's largest wireless-network equipment supplier. Alcatel-Lucent was formed from the marriage of France's Alcatel and the US's Lucent Technologies in 2006. It currently generates about 40% of its sales in North America. According to analysts, although the tie up will make Nokia stock owners face a period of restructuring costs, scrapped dividends and diluted share prices, for Alcatel shareholders, it is almost beneficial. On Tuesday, Finnish technology major Nokia confirmed that it was in advanced discussions to buy its French telecommunications equipment rival, Alcatel-Lucent. Since months, rumors had been floating regarding potential transaction for parts of Alcatel-Lucent, as the company sought to sell assets and focus on its more profitable divisions. Nokia, on Tuesday, said that the companies, having combined revenues of about $27 billion, and the ones that would create a global networking giant, had been discussing a 'potential full combination'. This combination would most probably take the form of a public exchange offer by the Finnish company for Alcatel-Lucent. Melbourne, Nov 19 : Nokia has made an unexpected return to mobile devices with an Android tablet aimed at the Chinese market, a report said. 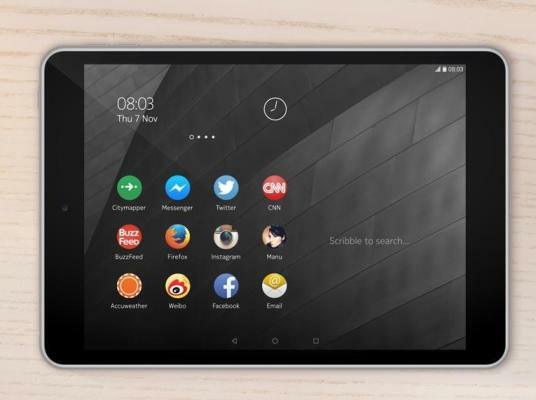 Nokia's head of products Sebastian Nystroem said in a statement that the company was pleased to bring the Nokia brand back into the hands of the consumers with N1 Android tablet, reported News. com. au. The tablet will be made by Taiwanese technology group Foxconn, which is Apple's biggest supplier and will be launched in early 2015. It is expected to be priced at 249 dollars excluding taxes. Nokia also plans to expand the sales to other markets. New Delhi - It is, perhaps, the last of work at Nokia's Chennai plant as the company plans to shut it down from Saturday (November 1) as it will be left with no business after Microsoft Corporation terminated mobile purchase agreement from the factory. In April this year, Microsoft Corporation bought the devices and services (D&S) business of once-leading mobile maker company, including the assets in India for USD 7.2 billion. However, due to legal issues related to tax by the Indian government, the Chennai facility could not be transferred to Microsoft in the deal. Hence, the US tech giant decided to close it. 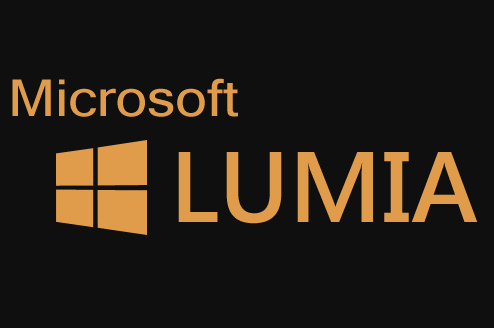 Washington, Oct 22 : Microsoft has reportedly declared that Microsoft Lumia is the new brand name that will replace Nokia as the software maker. The change followed a slow transition from Nokia. com over to Microsoft's new mobile site, and Nokia France will be the first country to use the new moniker "Microsoft Lumia" for its Facebook, Twitter, and other social media accounts, reported The Verge. Other countries will undergo the same transition in the coming weeks. The report said that Nokia is not going to go away fully with Microsoft scrapping the brand and will continue to exist as a separate company without its phones business. Washington, Oct 8 - Nokia will reportedly stop production at its mobile handset manufacturing facility near Chennai in south India after a deal with Microsoft to manufacture phones fell through. According to a PC World report, the factory was among Nokia assets frozen by Indian federal authorities in a dispute over taxes for mobile phone software licenses. It was supposed to have gone to Microsoft as part of its acquisition of Nokia's phone business in April this year. A Microsoft spokeswoman wrote in an email that the company has decided that it no longer require the manufacturing services offered by the Chennai factory and is ending the agreement with Nokia on Oct. 31. Washington, Sep 11 : Microsoft's earlier revealed plans of phasing out the 'Nokia' name in its mobile products are now backed with a newly leaked internal document which reportedly says upcoming Nokia Lumia devices will soon be branded as just ' Lumia'. In April, former Nokia CEO Stephen Elop who is now the head of Microsoft's devices group, said that he doesn't see the Nokia name sticking around for long at Microsoft. Elop said that Nokia as a brand will not be used for long going forward for smartphones, and work is underway to select the go-forward smartphone brand. Washington, Sep 4 : Nokia is reportedly mulling its own free map app to compete with Apple and Google, scheduled to debut before year's end. According to CNET, Nokia's map apps will not require an online connection to generate driving directions. The apps would also be geared directly toward individual consumers rather than toward Nokia's usual business customers. However, Nokia already offers a map app called Here Maps, which is available for Windows 8.1 and Windows Phone. The app initially supported the iPhone and iPad, but Nokia pulled the app last year over issues with iOS 7. Bangalore: Microsoft Devices on Wednesday announced the launch of "most affordable" Lumia 530 dual SIM smartphone for Rs 7,349 in India. Microsoft Devices said Lumia 530 will be available in stores at a best buy price of Rs 7,349 starting August 14. The new Lumia 530 will provide a powerful entry to Windows Phone 8.1 with a Quad Core processor delivering faster and smoother user experience, among others, it said in a press release. This device will expand the reach of Windows Phone as it allows more people to enjoy Lumia innovations and Microsoft services similar to those offered in high-end Lumia smartphones, the release added. New Delhi: Finnish mobile company Jolla is interested in hiring Nokia employees, who have been laid off by Microsoft which has acquired the mobile manufacturer. "What comes to the Microsoft job cuts: majority of our employees have a Nokia background, and we are always interested in new talent," Jolla Head of Communications Juhani Lassila said in an email query in this regard. 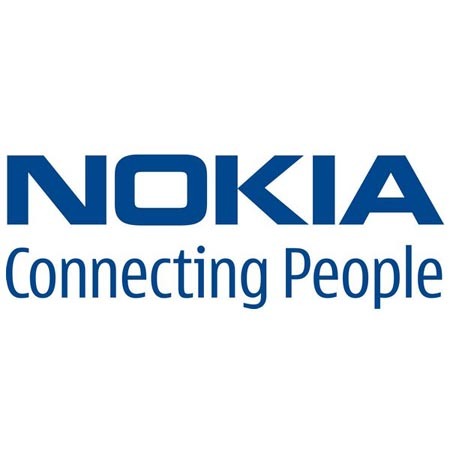 Chennai: Finland-based Nokia has paid about Rs 250 crore as compensation to employees of its Chennai manufacturing facility, who opted for the voluntary retirement scheme offered by it in May, Tamil Nadu Industries Minister P Thangamani informed the state Assembly today. "Soon after the Chennai plant was converted into contract manufacturing facility, as it was excluded from the Nokia-Microsoft USD 7.2 billion deal, the operations of the Chennai plant will be based on the supply orders. Because of this reason, the company (Nokia) offered VRS," he said. New Delhi: In their first engagement with the new government, Finnish mobile handset maker Nokia officials on Wednesday met Commerce and Industry Minister Nirmala Sitharaman in a bid to resolve the over Rs 21,000-crore tax dispute. Espoo, Finland-based Nokia was forced to abandon plans to include its Chennai plant in the sale of the handset business to software giant Microsoft, completed in April, because of the tax dispute. Nokia Group Executive Vice-President and Group CEO Timo Ihamuotila, along with other company officials, met Sitharaman, who is also the Minister of State for Finance. New Delhi, May 14 : Helsinki-based Nokia has taken initial steps to seek international arbitration to amicably resolve the multi-million dollar tax dispute related to its Chennai's manufacturing unit and has sent a letter to Prime Minister Manmohan Singh. “Nokia is keen to work with authorities in India to resolve the tax disputes. As one of our actions Nokia has sent a letter under Finland India Bilateral Investment Treaty (BIT) to the Hon’ble Prime Minister of India. The letter seeks for amicable resolution of the current tax disputes,” a Nokia spokesperson said.